Eat and drink your way through London at these royally approved spots, from restaurants to wine shops. Even though the royal wedding is still months away (May 19 cannot come soon enough), it feels like excitement surrounding Prince Harry and Meghan Markle's nuptials has reached a frenzied high. If you're a royals nerd in London – or looking to make the trip soon – you can eat like a queen, or princess, or actress-soon-to-be-Duchess-of-Sussex. Not only are there a select few spots in the city that have an official Royal Warrant – meaning that the royal family has officially recognized the store or product as worthy of their blessing – but there are several restaurants and tea spots that members of the royal family have been known to frequent. We chatted with Tatiana Moses, an American Express Travel Destination Manager in London who scouts local restaurants, bars and unique tourist experiences, to get intel on the best places to eat, drink, and sip tea for people looking to indulge their royals obsession. And below are eight places that people who already have Harry and Megan tea cups won't want to miss. The family-run British wine and spirits merchant, which opened in 1698 and proudly holds a royal warrant, is an institution (and as much a museum as a wine shop.) 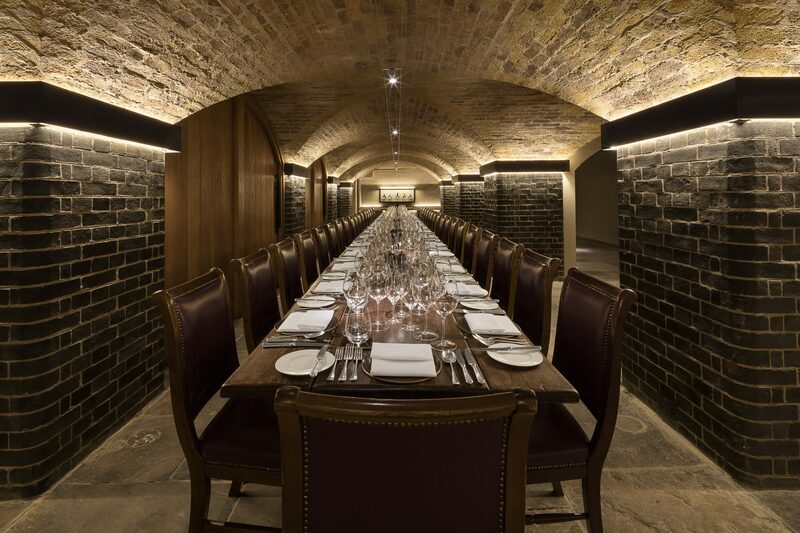 Book a scenic private table for tastings, or simply peruse the old cellars. Founded in 1707, this lovely, historic department store also has a royal warrant. It's the perfect place to "find a variety of foods, hampers, restaurants and the best tea blends fit for a Royal Afternoon Tea," says Moses. If you're looking for the quintessential British luxury experience, the Goring offers an award-winning afternoon tea that overlooks the Goring Gardens. The hotel, which is quite close to Buckingham Palace, is also the site of a very important royal moment: it was where Kate Middleton spent the night before her wedding to Prince William. "The Queen would have had her birthday there, but a journalist leaked the story and she had to cancel the visit; however the team was sent to a Windsor estate to cook for her and her party," says Moses. 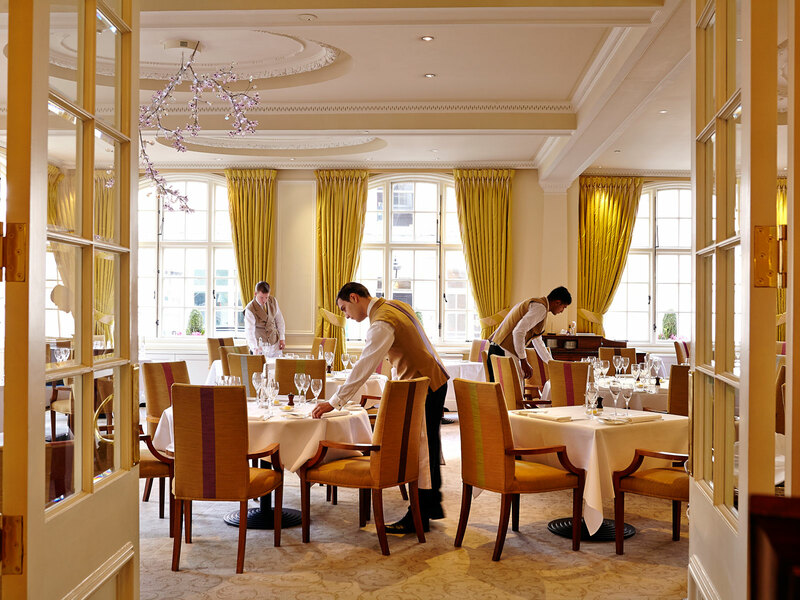 The high-end French restaurant, helmed by chefs Alain Roux, overlooks the River Thames. An exclusive London institution, the club offers a basement nightclub, spa, workspice, dining, cellars, and more. 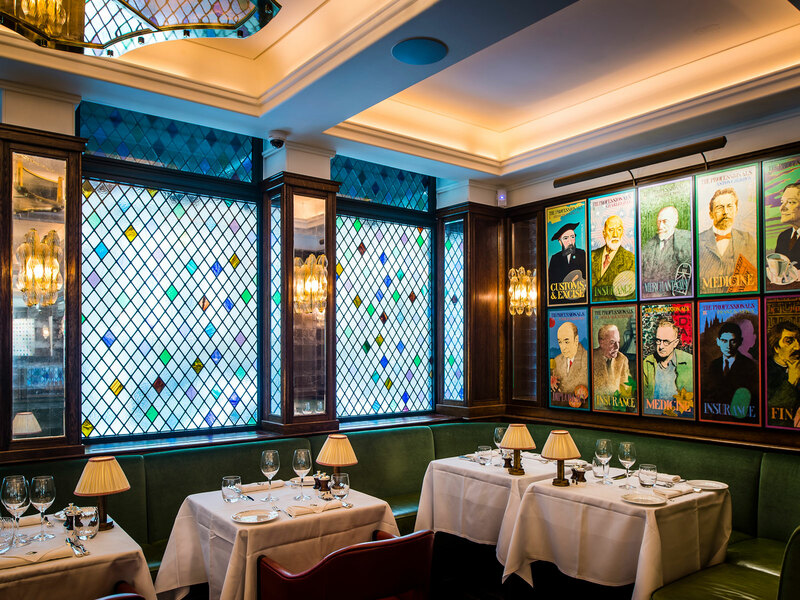 "Opened in 1963 by Mark Birley and named after his wife Lady Annabel, this private London club has been visited by The Prince of Wales, Princess Anne and the Duchess of Cornwall," says Moses. On March 3, the club reopened after a two-year refurbishment. Moses says that "many royals have rubbed shoulders with Hollywood celebs" at chef Nuno Mendes' brasserie-style restaurant. Young royals have been spotted at this neighborhood restaurant, café, and wine cellar "after spending the day at Ascot during the races in the summer," says Moses.